Do you feel overwhelmed with your blog? Have you wondered why it seems so hard for you to find consistent growth when you know other bloggers have done it?! When I started my blog, I did it all on a whim. I thought of the idea and bought the domain all in one night. And then the next 2 months I spent attempting to create a brand, design a website, create content, shoot photos, and more. But it’s not like after launch the overwhelm went away. Trying to create a successful business is a lot of work. And as a blogger, that’s exactly what you’re doing whether you realize it or not. So today I want to talk about how you can beat the overwhelm and find clarity in your blog. 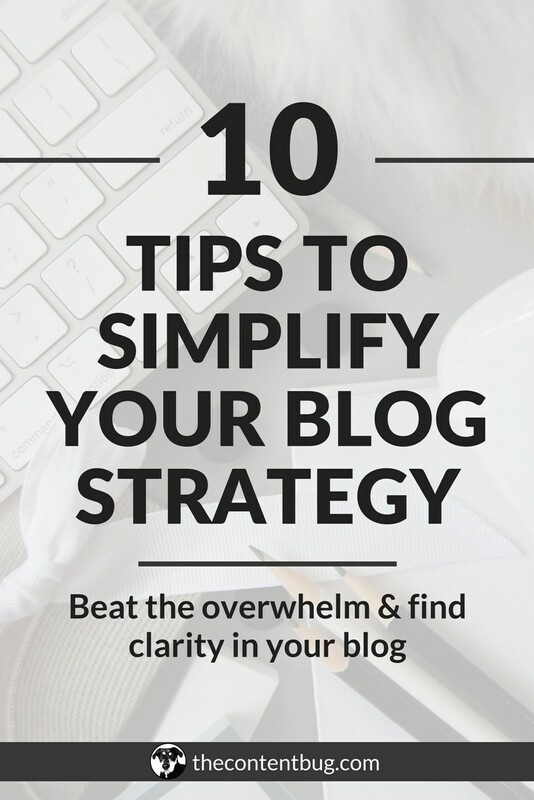 And that all comes down to simplifying your blogging strategy. Before we get started… do you even have a blogging strategy?! Like I said, when I got started, I just kinda did it. I didn’t have a plan, I didn’t have any guidance, I just went for it. And then later on I realized that I needed a plan for growth or my blog wasn’t ever going to grow. So do you have a blogging strategy in place? If not, then today is your day to create one. Take the time to sit down with this blog post and with a journal to write out your thoughts. 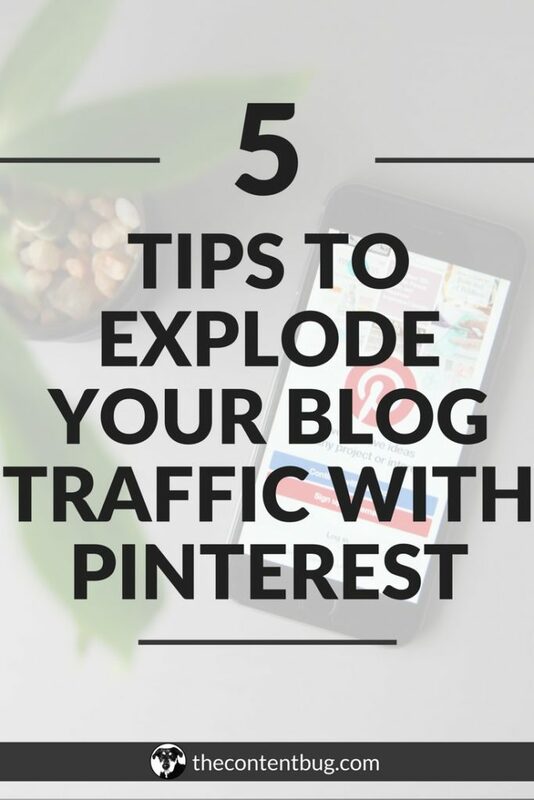 Then once you’re finished, set a timer for an hour and sit down and only work on your blogging strategy! You’d be surprised what you can create in that hour. But for now, it’s time to get to the 10 tips to help you beat overwhelm. I’m a believer that everyone has a purpose. That you were put on this Earth for a reason. And if you don’t know that reasoning now, you’ll stumble across it later. But these days, I hear the talk of “purpose” a lot. It may just be because of all the books I read. But it seems to be a popular topic. And if you don’t know what you’re purpose is, you’re not alone. When I started my blog, I didn’t think that my life had a purpose. I didn’t believe in any higher power, and my spirituality would have been rated a 0 on a scale of 1-10. Fast forward a year and a half later and I have a pretty darn clear picture of what my purpose in this life is. And I’m channeling my blog to help me fulfill that purpose. So I want you to ask yourself, why are you doing what you’re doing? Why did you decide to start your blog? And why have you kept it going this far? Whether you know it or not, in these answers lie your purpose. Maybe for your life. Or maybe just for your blog. Either way, you’re exactly where you need to be. So what I want you to do right now is find a quiet place where you can sit in (almost) complete silence for 5 minutes. After those 5 minutes are up, ask yourself why you decided to start your blog. What do you want out of it? And what impact do you hope to have? Allow yourself to be honest and don’t block the thoughts that pop into your head. Just write them down in a journal. This will be the guiding principle of everything you do with your blog. Everything in your blogging strategy will be centered around this. So until you know why you’re doing what you’re doing… you’re going to continue spinning your wheels. I don’t stress knowing your audience as much as I should. Because honestly, this could be where your success lies. For months, I didn’t pay any attention to who my audience was. I just wanted an audience. I didn’t care who they were! Looking back, I’m pretty embarrassed because now I’m a believer that it’s much better to have the right following instead of having a large following. So do you know who your audience is and what they want?! If not, then you’ve got your work cut out for you. When you understand who your audience is and what they want you can create content, design paid products, and produce more of what they like to continue to grow your audience with very little effort. My audience is filled with bloggers. Mainly women from ages of 18 to 36 located in the United States. But I’ve got a pretty cool international audience as well. These women (and some men) are mostly side-hustlers, meaning they have another full-time position or they are students or stay-at-home moms full-time. But most importantly, my audience is the DIY kind. They want to create a success for themselves, they want to break the mold, they want to make it big with their blog, they want to create freedom, and they are driven to do it themselves. And I like this kind of people. Because I was/I am one of them myself. So now I want you to get to know your audience. Take the time to check out your Google Analytics, your social media following, and the people on your email list. And then stalk 3 to 5 of them. Nothing too creepy. Just get to know them a little bit. And if you want to take it a step further, host a survey or poll through your email list or social media. Ask them questions about their lives, their struggles, and what they want from you. Having this knowledge will put you miles ahead of others. This is probably the most obvious, yet the most overlooked, tip I could give you when it comes to beating overwhelm and finding clarity in your blog. It boggles my mind how many bloggers don’t have a plan for growth. But I was one of them… so I shouldn’t be that surprised. How can you expect to grow if you don’t have a plan for growth? Seriously… ask yourself that question. If you want to make your life a little bit easier, then you need to create a roadmap for your blog. Let’s say that you want to impact millions with your blog. Well, how are you going to do that? It’s not just going to happen overnight. You aren’t going to share 1 Instagram post a week and make it big. You need to have a roadmap in place with the goals you want to achieve, how you’re going to achieve them, and the date in which you plan to achieve them. And we’ll talk about how to do this in the next few tips. So keep reading. We tend to get overwhelmed when we don’t know where to channel our energy. I once spent over a month redesigning my website. I tried to learn code to make the tiniest adjustments, I tried to shoot and edit the perfect photo for the home page, and I even tried to perfect the sections included on the home page to make it really pretty. Only to realize that I was taking that much time to design my home page because I didn’t know where else to channel my energy. So I wasted time on something that didn’t really need to get done. Have you ever noticed that you spend most of your time on one thing and not enough on the other? Maybe you spend too much time shooting and editing the perfect photo, yet you never take the time to reach out to brands that you want to work with. And that’s exactly why you haven’t landed any sponsored post deals. To really beat the overwhelm and ditch the stress, you need to know where to channel your energy. So go back to the quiet space I was talking about in step 1. And write down all the sections of your blog biz. That could be content creation, marketing, finances, big picture planning, email marketing, social media, paid product work, and more. Each blog is different and yours may need special attention in areas that another may not. Once you have each section of your blog biz down, rank them on a scale of 1 to 10. How is each section performing? Would you say that your finances are as strong as your content creation? Be honest with yourself! If you aren’t honest, then you won’t learn and grow. After each is ranked, it should be pretty obvious where you need to spend more time. So write that into your blogging strategy! 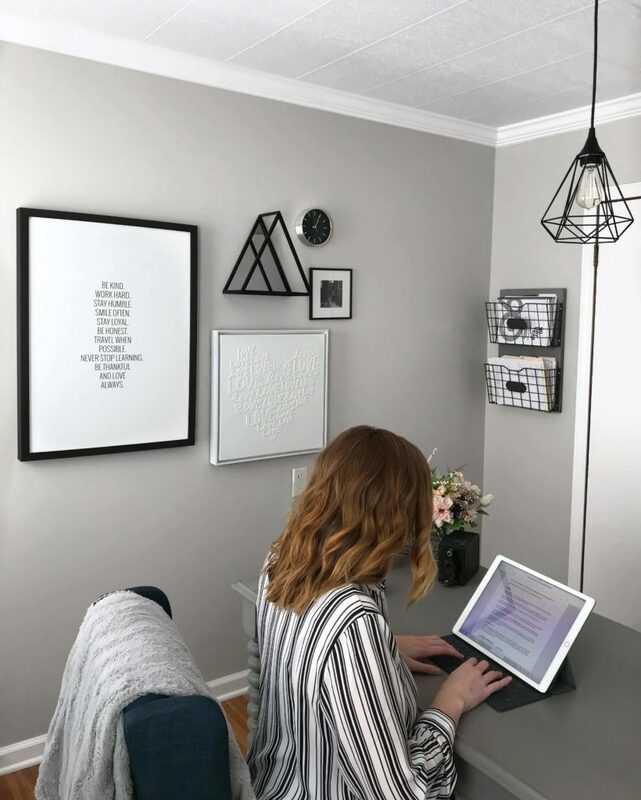 80% of your time should be spent on areas that are struggling while the other 20% is spent on other tasks that need to be completed to keep your blog running smoothly. 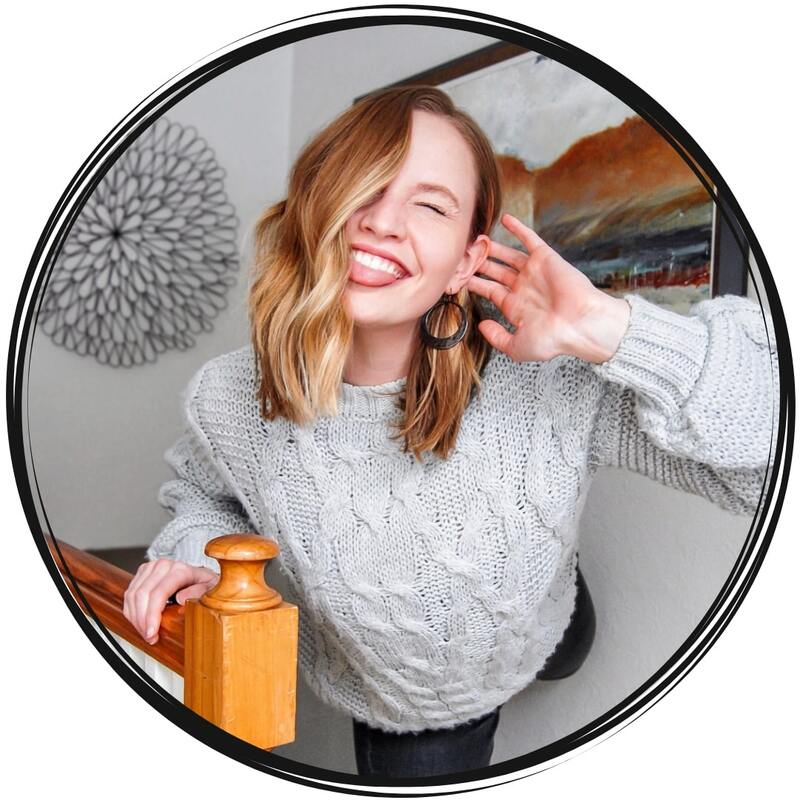 I’ve seen a lot of bloggers put on their yearly goals that they want to launch a podcast (that they already know is launching in January), that they want to reach 1 million followers (yet they only have 2,000), that they want to travel the world (yet they don’t have a passport), that they want to make a full-time income with their blog (yet they haven’t launched it yet). Don’t think that I’m being harsh. Because the last one was something that I did. 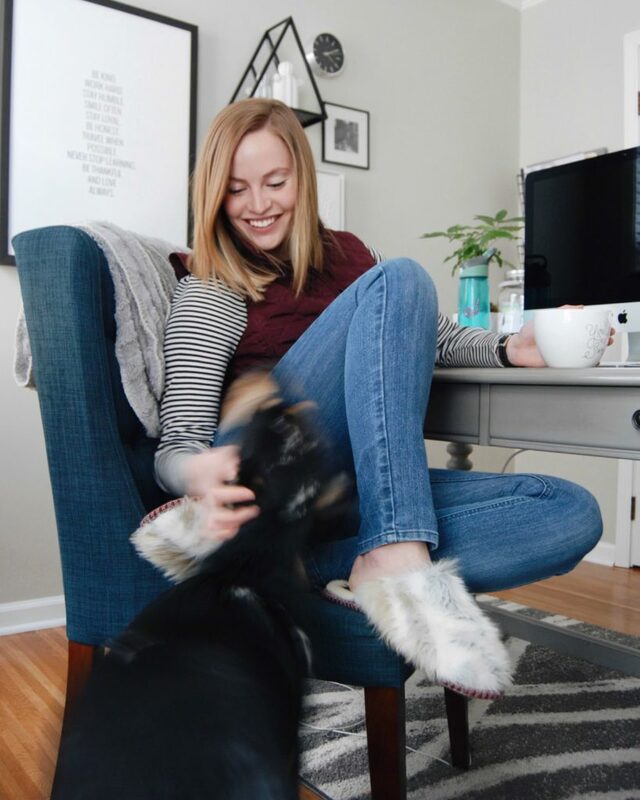 Before my blog was even launched I set the goal to achieve a full-time income with my blog in a year. I was a little crazy back then. But what I’m getting at here is that it’s not enough to just set goals. You have to set goals that actually mean something! Goals that relate back to your purpose. Maybe your purpose is to have a positive influence on the lives of stay-at-home moms who feel like they have to be the “perfect” mother or society will tell them they failed. If that’s your purpose, then there is no point in setting a goal to make enough passive income to quit working at the age of 40. That doesn’t align with the main purpose! It would be better to set a goal to reach over 10,000 moms on your email list or to speak on a panel for at least 3 events this year. It’s not enough to set goals. You have to set purposeful goals. Now I’m big on goal setting. And I’ve got a pretty killer system in place to not only set goals but to actually achieve them. So when I set quarterly goals, I start with the areas that I need to focus on. If I realize that I’m lacking on my financials, I’ll set 3 goals around my financials and then 2 around other areas of my blogging business. When I set yearly goals, I strive pretty big for myself! I make sure that each goal is in line with my greater purpose, and then I set goals for all areas of my blogging business. That could mean the amount of money I’m going to make, the number of people I’m going to influence, my marketing strategy, my time spent at work, and more. As long as my quarterly and yearly goals align with my purpose and help to push myself to work hard in my business to live up to that purpose, then I’m a happy camper. In every aspect of our lives, it’s easy to bite off more than we can chew. But it’s extremely important to remember that everything must be taken one step at a time. You’re not going to go from 100 followers to 100k followers on Instagram. You have to take it step by step. So for each goal that you want to achieve, break it down into baby steps. Ask yourself, what would I have to do to achieve this goal? Then go into extreme detail about all the tiny tasks you’d have to complete. Think back to when you started your blog. You didn’t just have to launch a blog. You have to come up with a name, buy a domain, decide on your hosting platform, design a logo, take photos, create social media channels, write blog posts, write all website content, create an email address, research what to do next, and then keep moving. It wasn’t 1 big chunk that you bit off to complete in 1 day. It was a ton of tiny tasks that got you to where you are today. So instead of getting stressed out by looking at all the work that you have to do, break it down into small tasks and complete one task at a time. Anything is achievable if you put your mind to it. Ah automation, my best friend. Let’s be honest, as bloggers, we have way too much on our plates. 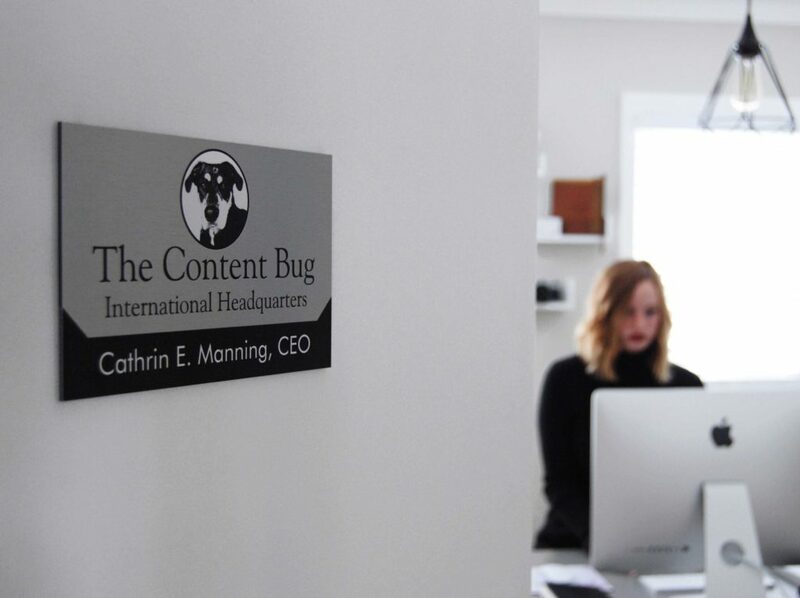 Not only are we bloggers, but we are content creators, marketers, managers, website developers, graphic designers, social media managers, and the list goes on. We wear many hats. And if you aren’t automating some areas of your blog, then you’re likely to be wasting more time than you should! To cut out some of the stress, you can automate your social media channels to make sure they are active at all times. You can write several blog posts at once and schedule them to go live on different days. And you can write emails on weekends and schedule them to send during the week. There are several tasks within your blog biz that you could automate if you only knew how! Some of my favorite platforms for automation are Tailwind for Pinterest and ConvertKit for my email list. For Facebook and Twitter, you can just use their platform to schedule posts. And for Instagram, you can use a free platform or Tailwind as well! As bloggers and online entrepreneurs, we tend to want all the strategies. For the most part, we think that we have to know everything. That if we soak up as much information as possible then we’ll be able to grow or be successful. Because while you’re soaking up all the knowledge you can get your hands on, you aren’t taking the time to implement the strategies you learn. This results in you spinning your wheels and wasting your time. So would you rather know everything and implement nothing, or know the strategies you need to and actually implement them to see real growth? I would take the latter. Instead of signing up for every webinar, every free email course possible, try signing up for a paid product. 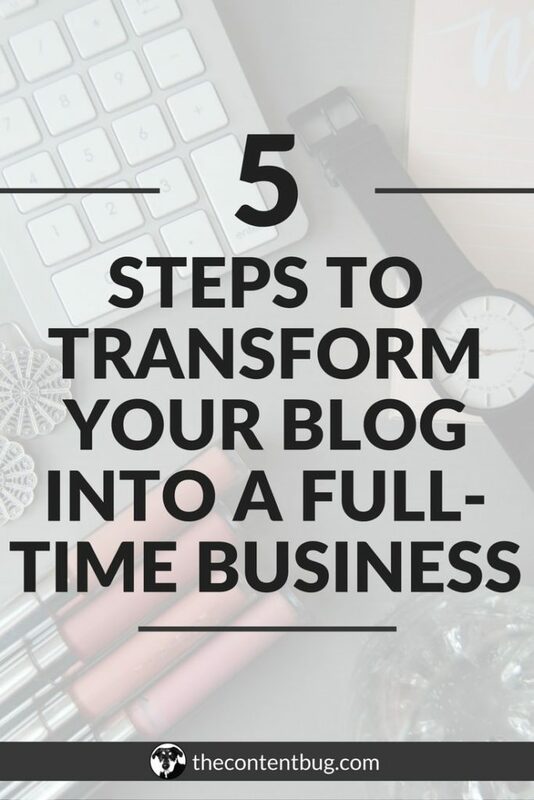 Not only are they action-packed and filled with the strategies you actually need, you’ll make a commitment to your blog unlike any other. If you want to stop being so overwhelmed, cut your content consumption in half and get your booty to work. For over a year, I had a screensaver on my work phone that said: “nothing worth having comes easy”. It was a little reminder for me to work hard on a daily basis. I knew that as a blogger/business owner that I had to work harder than everyone else. And Alex is always the first one to remind me that I’m always going to have to work harder than anyone else if I really want to achieve what I say I want to achieve. So today I want to remind you that nothing worth having comes easy… or for free. I’ve created 15+ free resources, 2 free email courses (converted those 2 into regular online course as well) create 1 free online course, created almost over 100 blog posts, 20+ YouTube videos, too many to count social media posts. And I can honestly tell you that out al all my free resources available on my site, the longest I spent on any one of them was 3 hours. The longest I spent on creating a free email course was a week or two (maybe 15 hours total). And for my free e-course, Start Bloggin’, I spent 1 whole week dedicated to it (around 40 hours). But when it came to my 2 paid products, I spent well over 200 hours creating those. It took me 2 months of hard work, most of the time working all hours of the day, just to create an amazing product for you guys. And the reason it’s paid is because of the work that I put in. If I put in over 20 hours a project, I can’t offer it for free. You see, everything in this world has energy. You have energy, I have energy. The work I create has energy. And if I give my hard work a lower energy by offering it for free, it won’t live up to my purpose and it won’t make the impact that I know that it can make! By saying all of this… I just want you to know that not everything in life comes for free. At some point, you’re going to have to invest in your blog to take it to the next level. You could spend 2 years searching Google for the strategies you think you need or you could pay to get the strategies you actually need. I was supposed to write this blog post last week. I went on my Instagram stories and told you that I was going to Glen Edith to write some blog posts. But instead, I spent almost 2 hours trying to revamp my content calendar to make sure that I was creating content that I was actually excited about. And because of that revamp, I decided to write this blog post today. I think it’s coming into my life at just the right time. And it’s coming into yours at the right time as well. Last week, I was traveling to visit my family. And on the long car ride home by myself, I realized something. The past few months, I’ve been extremely hands-on with my blog business. I’ve felt like if I wasn’t working my time was wasting. I thought that if I wasn’t working on my paid product then it wouldn’t be successful. And in that car ride, I realized that I needed to surrender. Up until this point, I’ve created some amazing things for TCB. I’ve created systems that could keep my blog up and running for a few months if I decided to go off the grid. It was after this realization that I knew that I had to claim April as my month of surrender. And that I had to tell my amazing readers that it’s okay and important to know when to surrender. In this life, we don’t have control over much. All we can do is try our best and sit back to watch if it’s going to pay off. 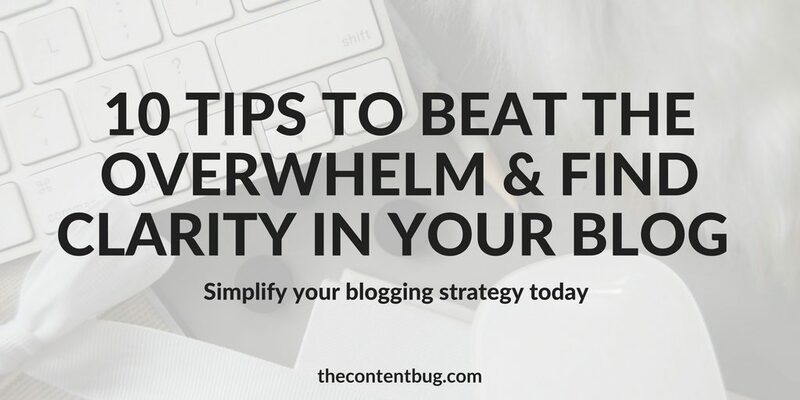 If you’re feeling overwhelmed, if you’re wondering why it’s so hard to grow your blog, if you so desperately want to find clarity in your blogging strategy, then all you have to do is place your trust in the process and surrender when necessary. READY TO GROW YOUR BLOG?! Are you ready to really grow your blog? 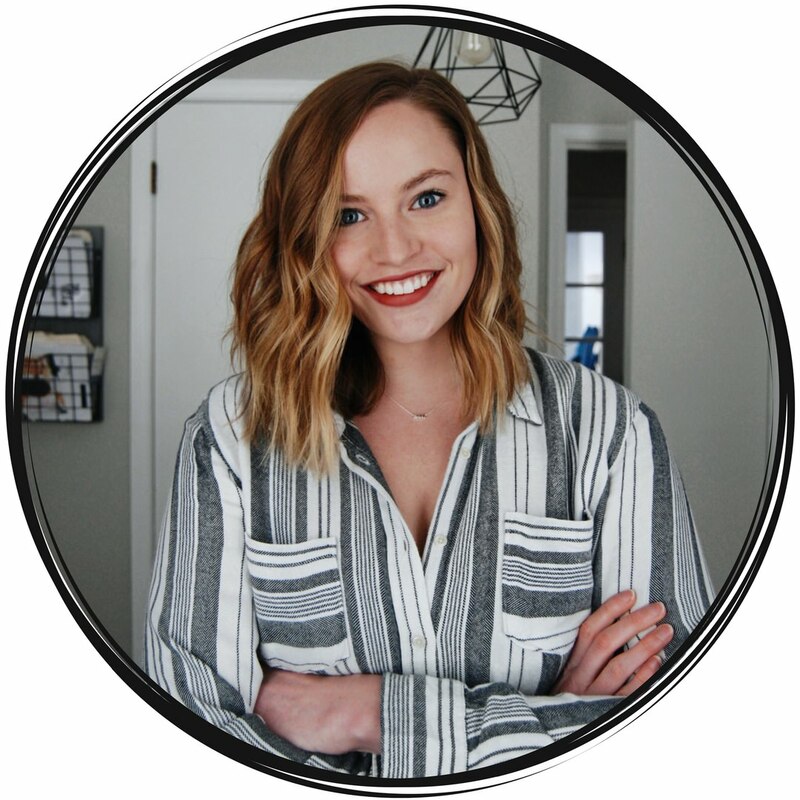 I’m talking about doubling your pageviews, improving your email list to generate over 100 email subscribers a month, and even improve your visibility on Pinterest and Google so you can generate traffic while you sleep? If you found yourself thinking that would be pretty awesome… then listen up! 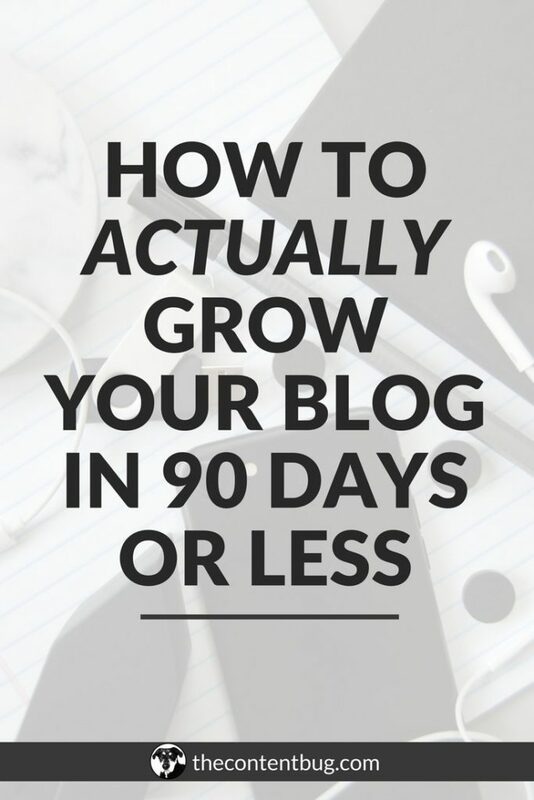 I’m sharing my very best blogging strategies that helped to skyrocket my blog’s growth in just 90 days. It doesn’t have to be impossible to grow your blog. And you don’t have to create your plan for growth alone. So I want to invite you to enroll in The Blog Biz Bundle. You’ll get instant access to 5 exclusive TCB Master Classes PLUS additional mini-lectures, 2 ebooks, 3 media kit templates, and more as bonuses! Interested in learning more?! 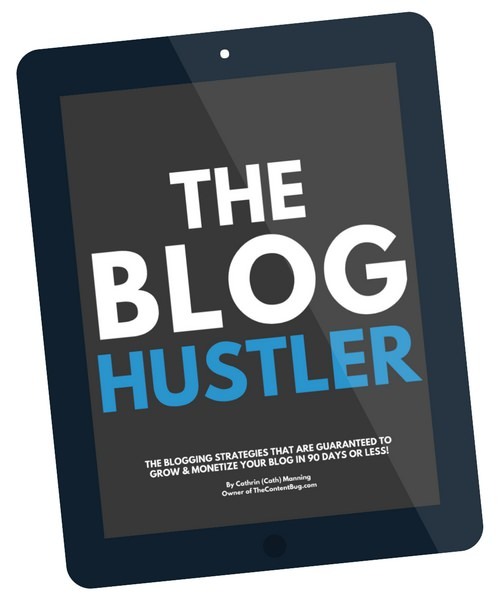 Get more information on how to get started with The Blog Biz Bundle HERE! Or maybe you’re more of a “give me that strategies and I’ll get it done” type of person?! If so, then you probably already turned your nose up at all the “fluff” that’s included in the Bundle. So I’ve got a better option for you. What if I told you that you could steal all my strategies and still get access to the actionable steps to really grow for half the price? Well, I’m offering my ebook The Blog Hustler for sale by itself! Interested? Get your hands on the strategies you need and none that you don’t right HERE!